Mass at Capernaum, Boat Ride in Galilee, Conversion Story, Visitation and Jerusalem! Today we started with Mass at the Purham where Jesus said “Eat My Flesh and Drink My Blood“. I gave my talk entitled “Defending the Eucharist.“ You can see/hear Fr. Nathan‘s emotional how lonely here. 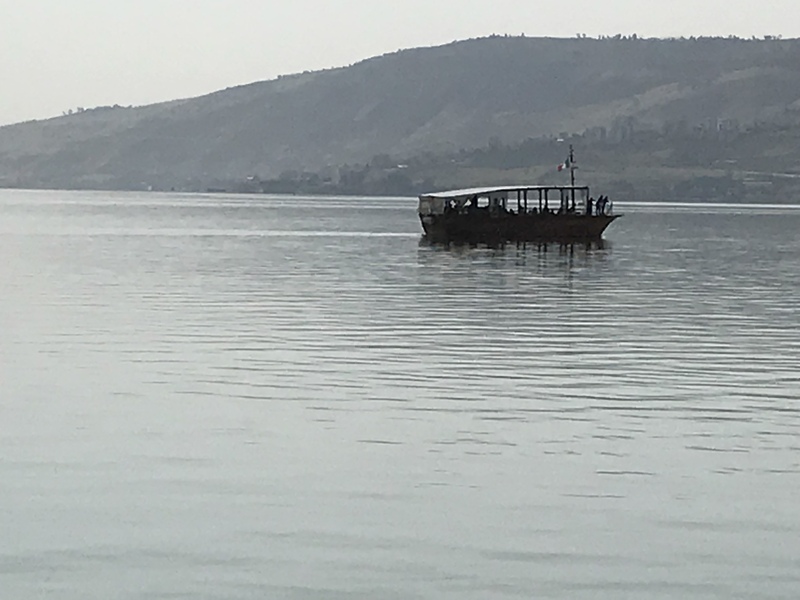 Next we saw the ancient boat from the time of Jesus and we also went on a real boat out on the Sea of Gallilee and I explained the stories from my night fishing with a Jewish fisherman all night on the sea. We ate St. Peters fish and then drove all the way to Jerusalem stopping first at the place a visitation when Mary walked for over 100 miles. Previous post: Did Solomon’s Mother Bathsheba Demonstrate Mary is NOT a Good Intercessor?